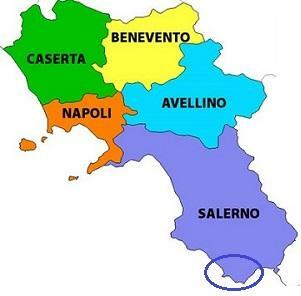 Cilento, in the province of Salerno, is the ideal destination for those who love nature, history, good food, and beach resorts that haven't been spoiled by overdevelopment. 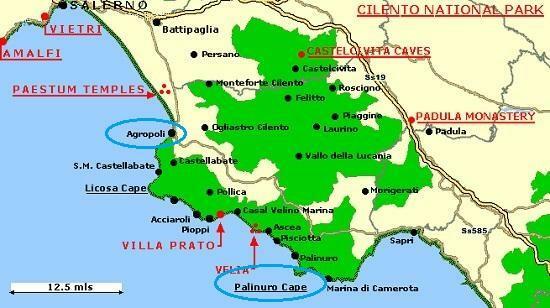 Palinuro features one of the most amazing landscape of the Italian Mediterranean coast line. One of the most impressive scenery to be enjoyed is the astonishing beauties of its marine caves, all of which could be reached by sea. 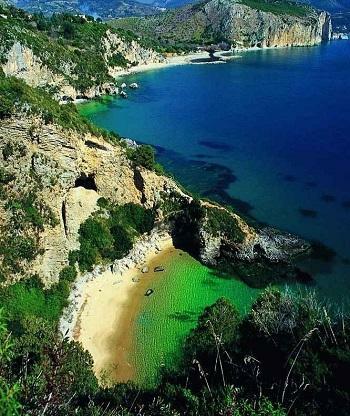 The immense sea-lime cliff, the beautiful hidden bays and hidden caves are some of the most spectacular view you will enjoy. Each of the caves is characterized not only by its beauty , but also by its own singularity that makes each of them pretty much unique. Linked to the myth of the helmsman, Aeneas, who died here, the name "Palinuro" has Greek origins, coming from the union of the words "palin" (again) and "ouros" (wind), intended as a place where the wind turns and not by chance, one of the ridges of the promontory is rightly so called "Capo Spartivento". 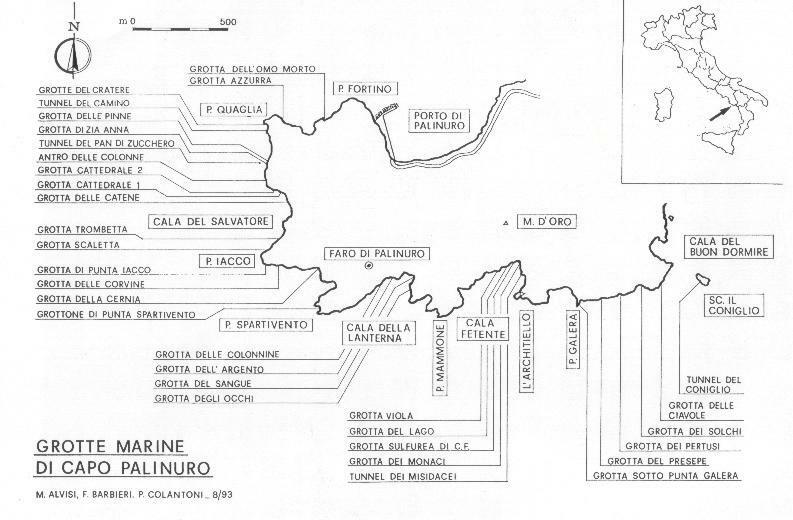 Following the founding of Elea, the territory of Palinuro remained under the control of the powerful Greek city. There were small Oenotrian settlements scattered in this area , that even in Roman times, remained sparsely inhabited. After the Romans , the Byzantine and the Lombards, there were the Normans, who reinforced the sea defenses of Molpa, and built a fortress whose ruins can be still see today. In 1464, the town of Molpa was attacked by the Ottoman hordes and Palinuro became once again uninhabited . It was bought in the 1500's by Sancho Martinez de Leyna, a Spanish nobleman, who strengthened the coastal defense by building 10 watchtowers, some of which still remain today. 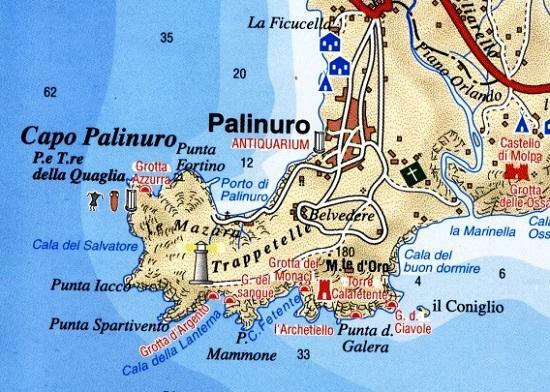 It wasn't until 1955 that the fishing village of Palinuro became an international tourist destination, when the FRrench built the Club Méditerranée . Since then, the outline of the headland, diving in the cobalt blue of the sea, continues to dominate the tourist scene and enchant anyone who stops or merely passes by. 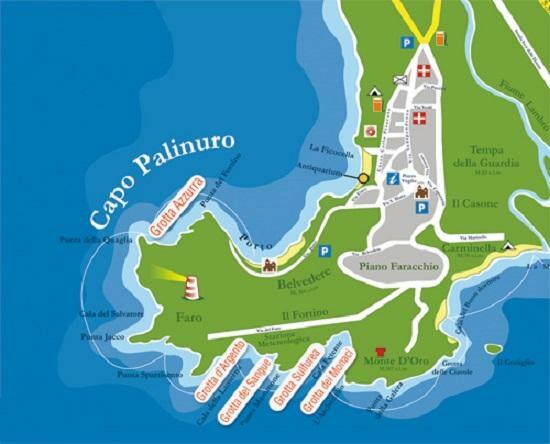 Beside its own legend, Palinuro retains a natural beauty unique in its kind. 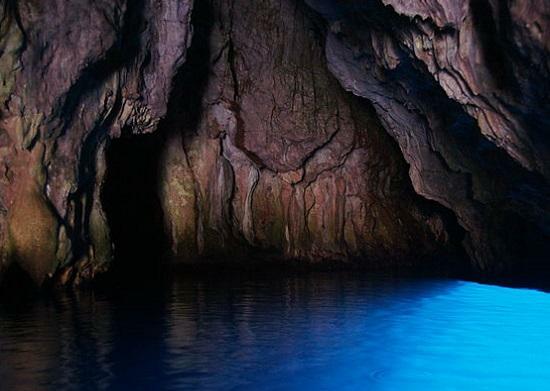 The hidden sea caves located around the promontory represent a true treasure, offering an experience to live fully. 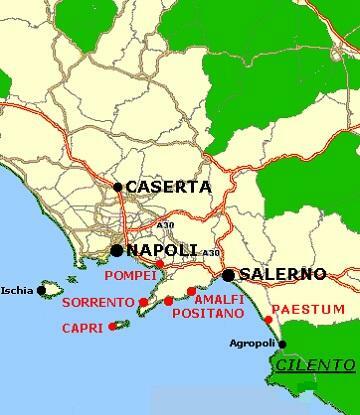 Aside the winter months, excursions around the cape begins at the port of Palinuro. 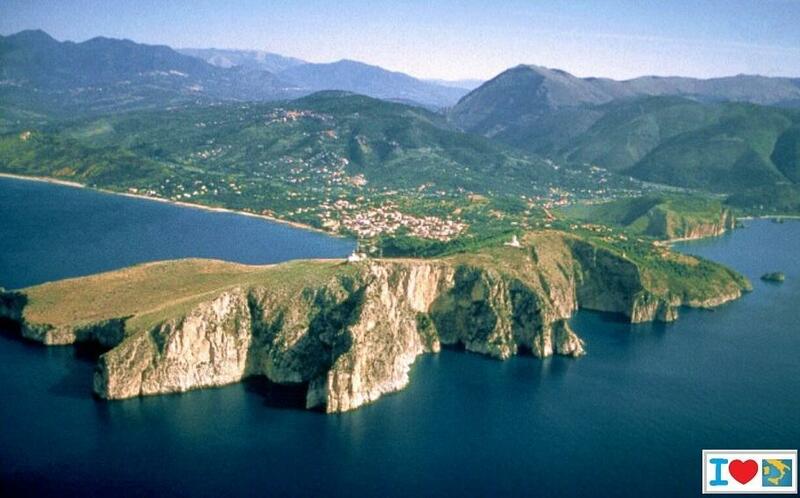 Completing this amazing landscape, just a short distance from its southern side, is the small islet of the Coniglio (Rabbit) . 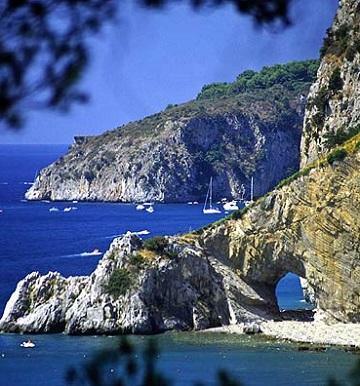 ...and the famous Natural Arch , overlooking a crystal clear sea. 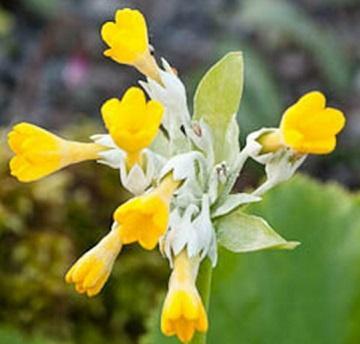 On the rocky side, the lush Primula Palinuri grows, an ancient flower that has survived from the last ice age to the present day period and is now the symbol of the National Park of Cilento and Vallo di Diano.